It seems a lot of people bought Band hero for Christmas and I would like to help them. I'll be updating this with any more problems people have. I'm doing this mostly for PS3, so if someone can help me with compatibility with Wii/360. Guitar Hero World Tour and Band Hero are the only 2 games which come in a "Band Bundle", which includes the game, Guitar, Mic, Drums. The Guitar and Drums in these bundles are wireless, and for the PS3 only require a Wireless Adapter which is included in the band Bundle, or with the Standalone instruments. A Bass doesn't need a specific Bass Controller. To use the microphone, you need to use a Normal PS3/360/Wiimote controller. On the Instrument controllers, Green is continue and Red is back. When you want to play solo, navigate the menus with your instrument. For Guitar Hero : World Tour, Guitar Hero Metallica, Guitar Hero Smash Hits and Guitar Hero Van Halen to play as a Band, 2 players - 4 players. Go to Quickplay, then band. The same applies for "Career" Mode. For Guitar Hero 5 and Band Hero you have 3 options to play as a Band. An easy way to choose these modes are by selecting Quickplay or Career, they will both take you to the same Lobby. In this Lobby, you can choose; you character, difficulty, mode (Quickplay, Career, Competitive) and extras (Cheats). If you playing by yourself, or not with a full band, then you choose hat you want the other players to look like as well, by going down to Band Lineup. To finish choosing what your band looks like, go press Red/ Circle. When the game starts up, there is a song playing and you can join in or skip to the main menu. This is called "Party Play". You can go to this mode by hitting the blue pad on the drums on the main menu. This mode doesn't allow you to fail, and allows anyone to join in and leave, change difficulty, hand switch without failing, stopping or pausing the song. Any instrument can join and during the song you can press Start and while the song continues, change settings, playlist or song. Scratch that, I'll just do my direct help here. 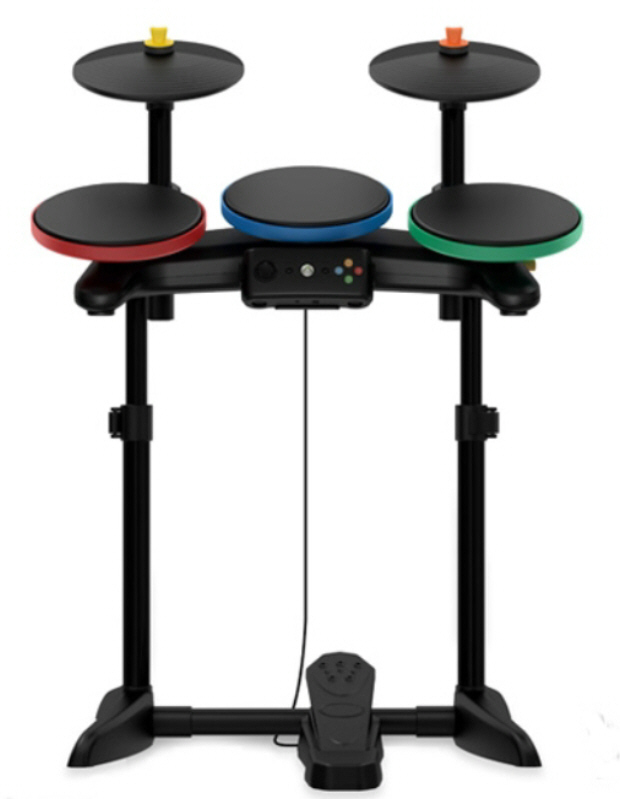 So, we got the standalone Band Hero game for Wii (no drum bundle, and yes, we have a Wii and a PS2). Is there any way to use Red Octane "corded"guitar controllers with the Wii? They were "hand-me-overs" that work with our PS2 and are the "SG" style. 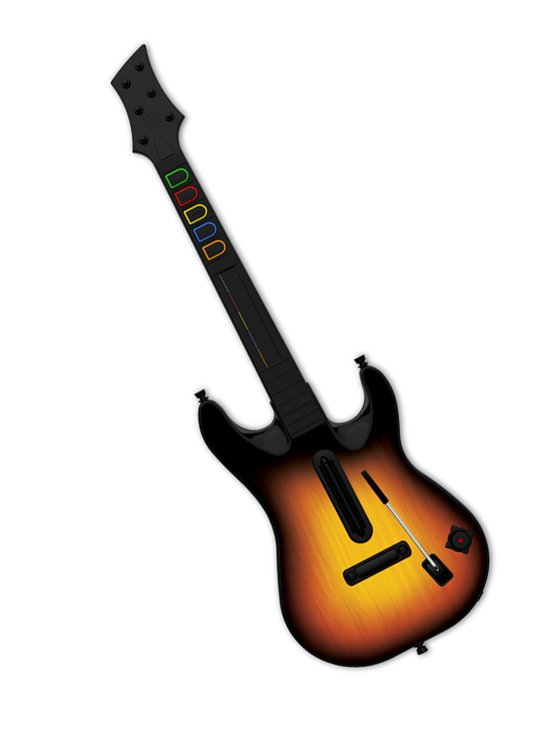 Everything I've seen so far indicates you have to have Wii-specific guitar controllers. Any Insight is appreciated. Yep, ya gotta have Wii-specific controllers. Like the guy above me said, you need Wii instruments, which require Wii Remotes. 1.How do you get groupies ? 2. Not many people go on Band Hero online. You're better off importing the BH songs into GH5 (for there's more people on GH5 online).